Happy Mother’s Day. 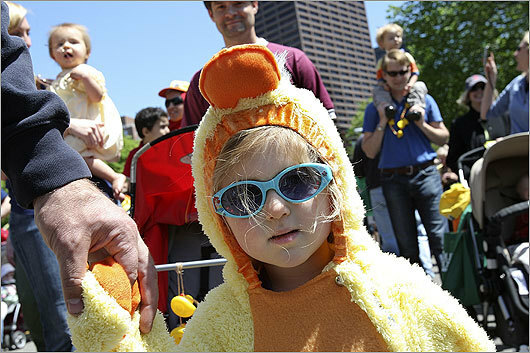 Today is Boston’s annual Ducklings Day Parade for mothers and children. We covered the story of Make Way for Ducklings, written by Robert McClosky in 1941. This year marks the thirtieth anniversary of the Ducklings Day Parade. The photo above is from the 2009 event. This entry was posted in Boston, Events and tagged Anniversary, Holidays, Make Way for Ducklings, Mother's Day, Parade, parks. Bookmark the permalink.